Let's learn English grammar online and try to have some fun too. There aren't many grammar lovers but when learners get to know and understand it they usually find it both an ally and a friend. What exactly is grammar? Grammar is simply the structure of a language. It's a set of rules that explains how to organize different words into phrases, clauses and sentences so everyone can communicate and understand each other. Rules?! Relax. Don't panic. We follow rules every day without getting upset or frustrated. For example, we (most of us!) learn and follow traffic rules easily: We stop at a red lights, follow speed limits, drive on one particular side of the road, etc. These rules make it easy and safe for everyone to drive on the road together. Similarly, grammar makes it possible for all of us to express our ideas and feelings clearly to each other. 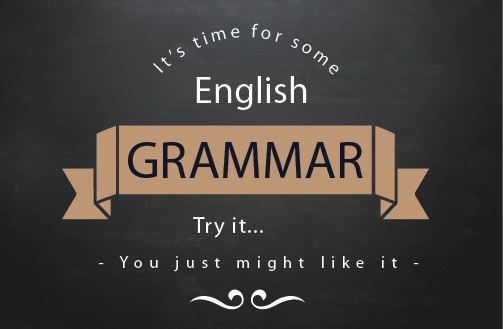 You’ll like grammar more as you learn it because it makes learning English easier. Over the next few months, I’ll be adding information for each of the following grammar topics so check back frequently. Or sign up for my newsletter so you’ll know when I add new information. Future simple with "be going to + infinitive"